In order to cope with temporary Japanese demand, the Toyota Prius III will have its production increased at the two Japanese plants where it’s built. Weekend shifts and overtime are likely to be offered to workers at its Tsutsumi and Fujimatsu factories as the Japanese firm aims to boost production above the current daily output of 2,300 units, but Toyota denied reports that it was planning to produce the Prius at Toyota and GM’s shared U.S Nimmu factory, where the discontinued Pontiac Vibe is produced. 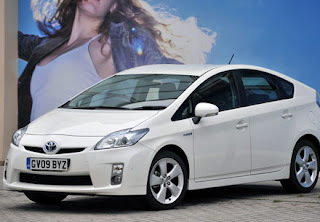 The Prius III became Japan's best-selling car when it went on sale last month, with sales of almost 11,000 units.